Taught by Dr. Mikio Sankey, Ph.D., L.Ac. To use the PayPal Credit Payment Plan, contact us for the invoice. Previous attendance at a 4-day Foundation or Advanced Intensive (Boulder: 2013, 2014, 2015, 2016, 2017, 2018, 2019) is the prerequisite for this class. The focus of the Advanced Intensive will be integrating Esoteric Acupuncture into both professional and personal practice. The Foundation Intensive is expanded upon by providing a framework for selecting appropriate treatment patterns according to the client’s level of consciousness and level of Shen disturbance and balance. There will be ample time to ask specific questions on techniques, tools of activation, processes, patterns and protection. The 4-day Esoteric Acupuncture Advanced Intensive builds on the foundation developed in the 4-day Foundation Intensive, so completion of a previous 4-day Foundation Intensive (Boulder: 2013, 2014, 2015, 2016, 2017, 2018) or completion of 4 days of weekend classes (California: Esoteric Acupuncture Level 1 Intensive plus Level 2 Intensive) is the prerequisite to register for the Advanced Intensive. For international students outside of North America for whom two separate trips to the USA would be a financial hardship, it may be possible to complete the prerequisite studies at home.  It is vastly preferable to learn the foundations of Esoteric Acupuncture in a live class with Dr. Sankey, so if at all possible, consider attending the Foundations Intensive now and waiting to attend the Advanced Intensive, because only a small part of the prerequisite training can be learned from the books. Approximately half of the training in the intensive classes occurs during the live demonstrations and hands-on practice sessions supervised by Dr. Sankey who assists students with how to sense energy, point location and guiding clients through the visualizations. However, If you wish to request information about the home-study option, contact us for details. New material will be included so past students are welcomed! The intensive format will include lectures, discussion and extensive hands-on practice. Lecture handouts, acupuncture needles and massage tables are provided. The classes are small enough that each student can receive personal supervision during the practical sessions on technique and point location from Dr. Sankey. The intensive begins with the Support the Mountain nutritional course, which focuses on how nutrition, particularly fresh, raw whole foods can support higher planes of consciousness. The physical, astral and spiritual aspects of various biochemical elements and associations with Chinese Five Element Principles will be presented: Fire-Potassium, Earth-Magnesium, Metal-Sulpher, Water-Calcium, and Wood-Sodium. If you are visiting from out of town, you will find that our convenient course location is easily accessible from the Denver airport via bus or shuttle. Also, there are many restaurants as well as a Whole Foods Market within a short walk of the hotel, so it is not necessary to rent a car. You will find lodging and transportation information including shuttle services and how to take the public bus on this page. This course has been approved by the NCCAOM for 27 PDA points (AOM-BIO). PDA Provider #1156. This course is known as “Dr. Sankey’s Acupuncture Advanced Intensive”, in the state of California. Under this title, this course has been approved by the California Acupuncture Board, Provider # 1075 for 27 hours of continuing education in Category 1. Use the group code “Energy Wisdom ” for discounted hotel rate. Rate available up to 30 days prior or until rooms sell out. April group rates are $124 for one king or $129 for 2 queens. Nov group rates are $99 for one king or $104 for 2 queens. Typically, these intensives fill up weeks or months in advance. To reserve your place, you will be asked to pay a $200 deposit at registration. When registering before January 1 of the calendar year of your intensive, the booking system will ask for your credit card details, but your card will not be charged the $200 deposit until January 1, and you can cancel with no fee before January 1. You are welcome to pay with credit card, PayPal, the PayPal Credit 6-month payment plan, or check. To pay using PayPal or PayPal Credit, contact us for a PayPal invoice. To pay by check, contact us for the mailing address. Please do not register for the Advanced Intensive unless you have fulfilled the prerequisites by attending a four-day Esoteric Acupuncture Foundation Intensive with Dr. Sankey (Boulder: 2013, 2014, 2015, 2016, 2017, 2018). If you registration needs to be cancelled because you registered without having fulfilled the prerequisites, your deposit will be refunded, less a $25 administrative fee. To register for the Early Bird Tuition, simply enter the promotion code “ESOTERIC-ADV” when you register before the early bird date. Your tuition will be reduced by $100, the $200 deposit will be charged immediately, and your tuition balance will be charged to the same card on the early bird date, unless you contact us to remove the discount code, change your credit card, or pay your balance yourself using the link in your booking confirmation. If you do not register for the early bird discount, the $200 deposit will be charged immediately, and the balance of your tuition will be automatically charged to your credit card three weeks before the start of class, unless you arrange for an alternate mode of payment. When registering before January 1 of the calendar year of your intensive, the booking system will ask for your credit card details, but your card will not be charged the $200 deposit until after January 1, and you can cancel with no fee before January 1. If you prefer not to register today, but instead would like to put your name on a list to receive news about this and other Esoteric Acupuncture events, click here. $50 processing fee until 8 weeks before class. $200 cancellation fee from 3-8 weeks prior to the first day of class. All cancellations must be in writing, by email that has been acknowledged and responded to by us, or standard mail. Cancellation dates are the date of a postmark on a mailed letter, or the date of an email response by us. Refunds will be processed within 2 weeks of request. The Boulder Inn rooms can fill up 1-2 months before class. Our Boulder Inn group rates are available only until 30 days prior to your first night, so please book your accommodations early. The Denver International Airport (DEN) is Boulder’s closest commercial airport. The Boulder Inn is easily accessible from the Denver airport via public bus, shuttle, taxis or Uber. It is not necessary to rent a car, as there are several restaurants as well as a Sprouts Market within a short walk of the hotel. You will find lodging and transportation information including shuttle services and how to take the public bus on this page. Boulder is a lovely town to visit, with many restaurants, shopping opportunities and recreational activities. Feel free to contact us with any questions you might have about visiting Boulder. ” I feel honored to receive this information, and with every treatment, I receive one thousandfold back from the universe. Namaste, Dr. Sankey.” – Christine, Kuhlman, ND., North Sutton, NH. “I am excited about acupuncture again!” – Jan Dunn, L.Ac., artist, North Hollywood, CA. “I find the Esoteric Acupuncture enhances my meditation and kundalini yoga practice.“ – Krystal Pearson, Acupuncturist, Herbalist & Kundalini Yoga Teacher, Venture CA.